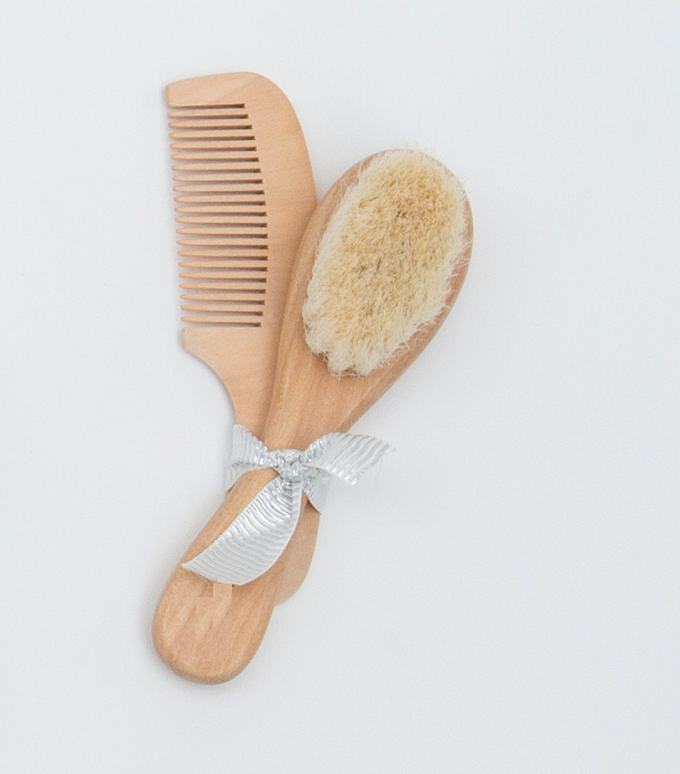 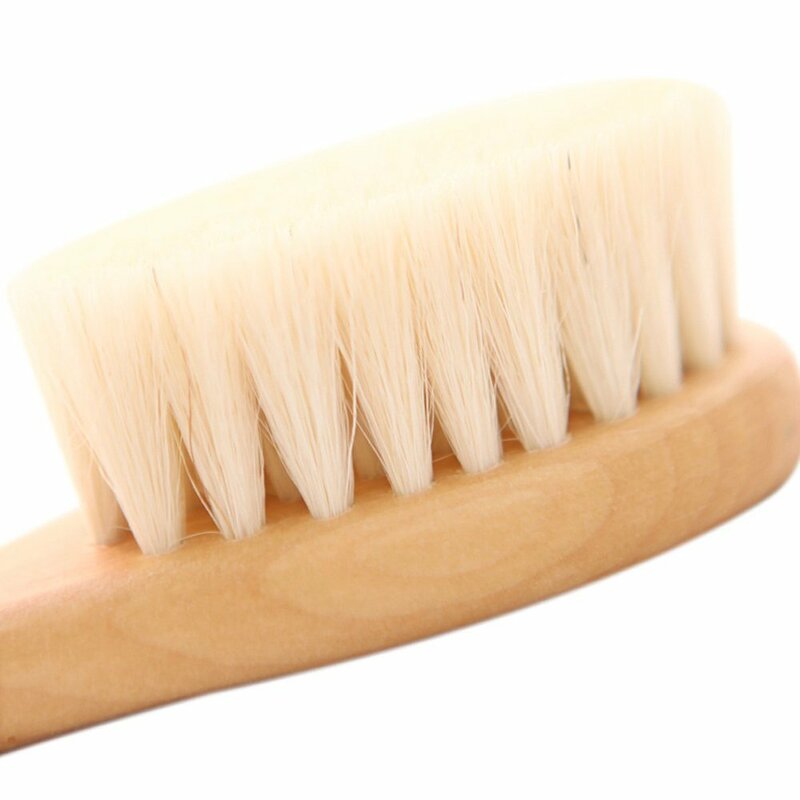 This essential comb and baby brush set is made of Organic Wood and Soft Goat Hair Bristles. Natural goat hair makes for the finest bristles, to softly brush baby’s hair and massage his scalp both for grooming and relaxation. 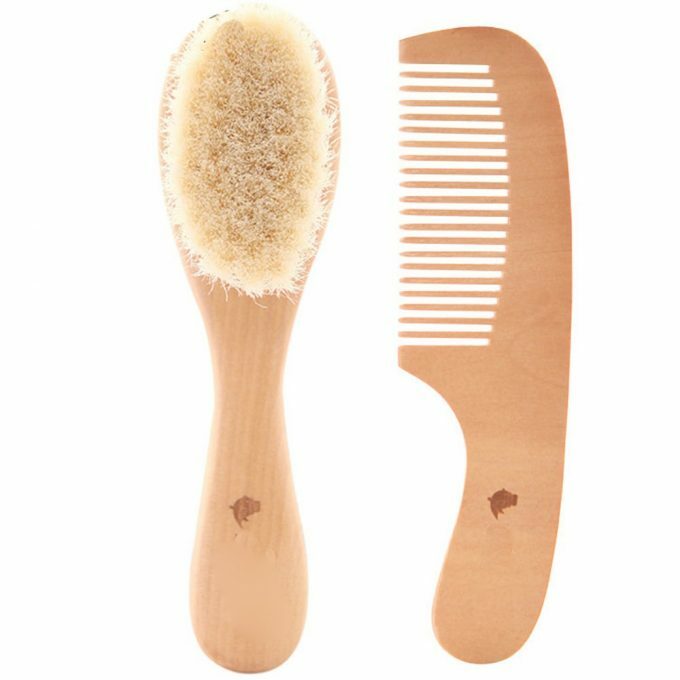 Helps to redistribute natural oils throughout the strands of hair without pulling or damaging your baby’s hair or scalp. The perfect brush for a healthy, cheerful baby!